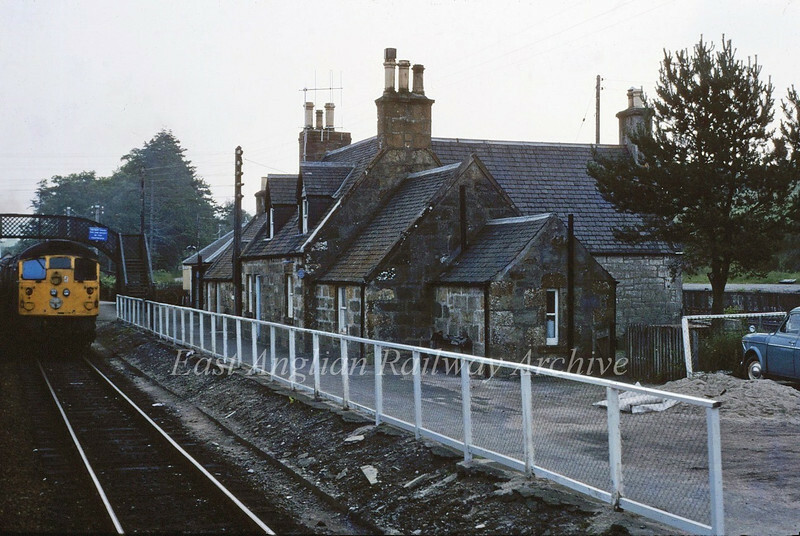 The fine station house at Lairg on the line from Dingwall to Wick. 26015 waits at the platform with the 0826 from Wick. 16th July 1980.